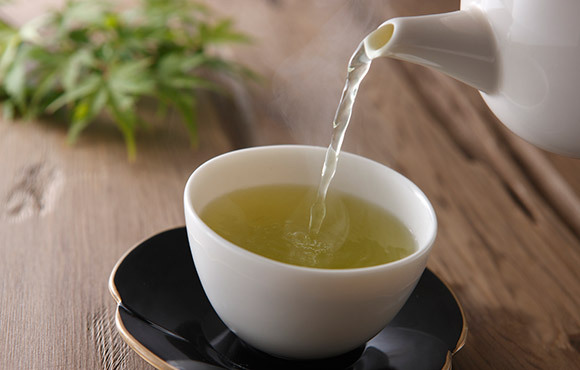 Are you a green tea lover? Well, guess what, there’s a new kid in town and it’s not just another green tea but one with a huge difference! Welcome to INDIAN BREW, a brand with an aim to introduce a collection of highest quality pure, green teas to India and the world. Our team participated in the 10-day long 38th India International Trade Fair at the Pragati Maidan in New Delhi, India to showcase not only what we can offer but also brew opportunities in the tea business for prospective industry stakeholders. We exhibited INDIAN BREW’s collection of highest quality pure, green teas and received excellent reviews. This tangy tea blend balances ginger with mint leaves to bring a vibrant, refreshing taste to a premium green tea base. Carefully crafted with the highest quality ingredients, ginger, and peppermint, traditionally used to help support digestion, add intriguing flavor. Lemon juice can be added for an excellent natural cleansing effect while ginger and mint will also boost your immune system. Sit back and enjoy a cup of this spirited tea and refresh your well-being naturally on a chilly day. Believe us, this hot beverage is therapeutic. SPECIAL OFFER: To know more INDIAN BREW, about the product and the range of flavors that we can offer, please visit our website/s: www.greenteaindian.com, www.indianbrew.in. You can also sign up to our mailing list and receive a ------% discount code for your first order!